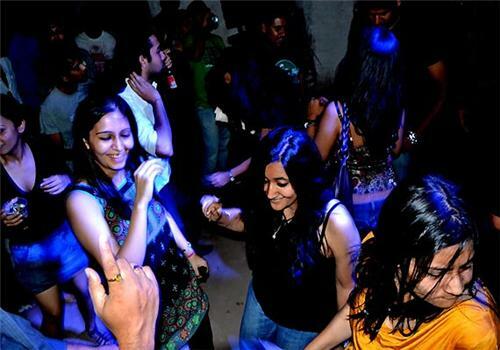 The entertainment and nightlife is becoming huge and diverse for India. Various entertainment avenues are coming up with as a result of urbanization. This change has also spread its reach to Amravati district, due to its proximity with Mumbai. Amravati has grown out from its image of a traditional religious place, to a modern district with lounges, discos, bars and multi cuisine restaurants coming up. Many luxury resorts have been built in the region for the high influx of tourists throughout the year. These resorts are also there to offer varied luxury amenities to the urban rich people. But in overall sense the nightlife amenities are still limited here, when compared with respect to other major Indian cities of India. Traditionally, drinking is not very entertained in Indian culture but the present middle and upper class progressive people love to spend a weekend get together in some plush and classy resto-pub over some classy drinks. Amravati has seen two distinct pubs or bars present, one catering to this rich class with classy ambiance, soft music and rich décor, while the other are typical country bars where cheap drinks are served. Few of the vibrant and colourful night destinations popularly visited by tourists are Garden Glory, Nidos Bar and Restaurant, Galaxy Bar, White Mischief Bar & Restaurant Chain and Simran Bar. All these pubs or bars are trendy with variety of alcohols and cocktails to offer to their guests. These flashy bars can be a bit heavy for the pocket, but the aesthetic interiors along with the lively atmosphere inside, makes them more desirable. Few of these pubs have dance floors for the people to loosen up and shake their legs with the flow of the heady beats. For people on budget, there are small local pubs like Surya Bar & Restaurant, Hotel Dev Wine Bar and Hotel Shivneri Restaurant. For movie buffs, Amravati has many well maintained theatres like Chitra Cinemas, Prabhat Talkies, Priya Talkies and Rajlaxmi Talkies with reasonable movie ticket prices. These halls screen local Marathi films along with Hindi and English blockbusters. Amravati also has got two multiplexes namely Big Cinemas and Best Cinemas where one can enjoy a complete movie experience with food and cold drinks. These movie halls remain extremely crowded during the weekends. Many Dominoes and Café Coffee Days are scattered across the city and popular especially among the student crowd. For the elites of Amravati, there are some well known clubs like Officer’s Club, Lion’s Club, Rajpeth Sporting Club and Reforms Club which offer good lounges, swimming pools and sports arena for the members. There are many local clubs for the youth community which are immense popular for weekend exercising and playing various games. In totality Amravati may not be a city, but is an upcoming district with all urban facilities. People making a career out of this place can enjoy a mix of small town simple living along with all sorts of entertainment during weekends.